Indotechboy — Do you know what Xposed? If you say no, then you must be new to Android hacking world eh? Xposed is a very great invention on Android I think. The main developer who bring us Xposed to become very stable like right now is rovo89@XDA and tungstwenty@XDA. So, what is Xposed can do to our Android device? I can answer that with a single word: "A lots!". Start from theming your Android system, hacking applications, change IMEI, and many more WITHOUT change even a little bit of apk, files, or anything on the system itself. In other word, Xposed can make something, without change anything so all the modification from the Xposed module made is considered safe enough. Actually, the Xposed itself didn't do nothing "real", but it is the "modules" that did the work. If we could analogic it, the Xposed Framework is the road, and the Modules is the vehichles which need a road to operate. So what we want to achieve by using Xposed, we must use the right module to get the right effect. Xposed Framework has supported Android versions start from Android Jelly Bean, Android KitKat, and the Android Lollipop, Marshmallow, and Nougat is still in Beta stage. Also read: How to root Android device using PHH SuperUser. Backup (just in case to fix if Xposed made your device brick). This is the original version of Xposed which released on public. This version is the most stable one which has support range from Android Jelly Bean to Android Kitkat. 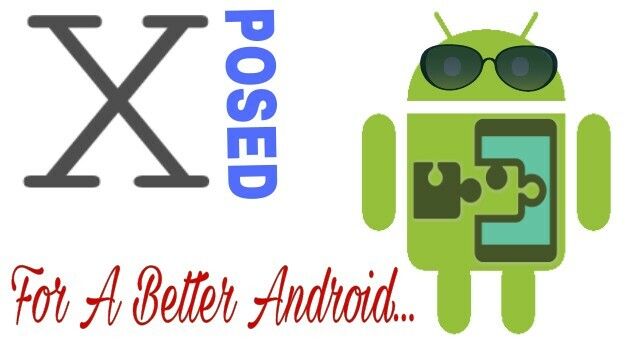 Download: Xposed Framework Installer v2.6.1.apk - For Android Jelly Bean, Kitkat. Are you using CyanogenMod 11 ROM or Android device running Android 4.4.4 Kitkat and found that Xposed did not work or refused to install? Then you can try this version of Xposed. I have try and install this version of Xposed on my Samsung Galaxy V smartphone running CyanogenMod 11 (CM11) ROM Android 4.4.4 Kitkat, and it works like a charm. This Xposed had been compiled by one of XDA Forum member, Solarwarez. Official thread: Xposed fix Android 4.4.4 thread on XDA Forum. Download: Xposed Framework Installer v2.6.1 Fix Android 4.4.4 by Solarwarez.apk - Fix cannot install for Android 4.4.4 Kitkat. Gratefully, the developer of Xposed has succeed to build us Xposed that works on Android 5.0 and 5.1 Lollipop, and Android 6.0 Marshmallow. The one for Android 7.1 Nougat is still in early development though. However, beware that this version of Xposed is still in Beta stage, so make a prepared backup before trying to install it on your Android device. The Xposed for Android 5.1 Lollipop has been tested by me working on my Samsung Galaxy V phone running CyanogenMod 12.1 ROM with Android 5.1 Lollipop. And the Xposed for Android Marshmallow is also working perfectly on my Samsung Galaxy V phone running CyanogenMod 13 ROM either AOSP 6.0.1 ROM with the Android 6.0 Marshmallow. The version of Xposed for Android Lollipop and up even have been themed with materialization, so it looks better too than the old Xposed :D .
Different with Xposed for Android Jelly Bean and Kitkat which we can straight inject the framework, on Xposed for Android Lollipop and up the internet connection is needed to download and inject the right framework inside the Xposed app based on the Android version and chipset architecture (arm, arm64, or x86) of your device. Note that the installation phase of Xposed on Android Lollipop and up may be a little bit different. After I install it on my Samsung Galaxy V phone, is it on CM12.1 or CM13 ROM, it need more than 30 minutes for my phone until boot up after first install it. But don't worry, because the next boot time will be back to normal. Official thread: Xposed for Android Lollipop and Marshmallow thread on XDA Forum. Download: Xposed Framework Installer v3.1.apk - For Android Lollipop, Marshmallow. Android Nougat support may still in early beta. If you got your Android device soft bricked after installing the Xposed, then just boot your device into recovery mode and flash the uninstaller. Choose the right version matched with your Android device hardware architecture. Quick hint: Samsung Galaxy V phone is an ARM based device. The only version you will find on the official site of Xposed at repo.xposed.info is the first version (support until Android KitKat) only. Meanwhile, if you are looking information for the rests version you can visit each respective official threads on XDA Forum. Now that you have Xposed installed on your Android device, it's time to search the right module for what you need. You can find all the Xposed modules at repo.xposed.info, but it's a little bit hard to browse the right one we seek from such a huge of module collections I think. Comments (1) in "Xposed Framework Installer APK Android Application Download for All Android Versions"